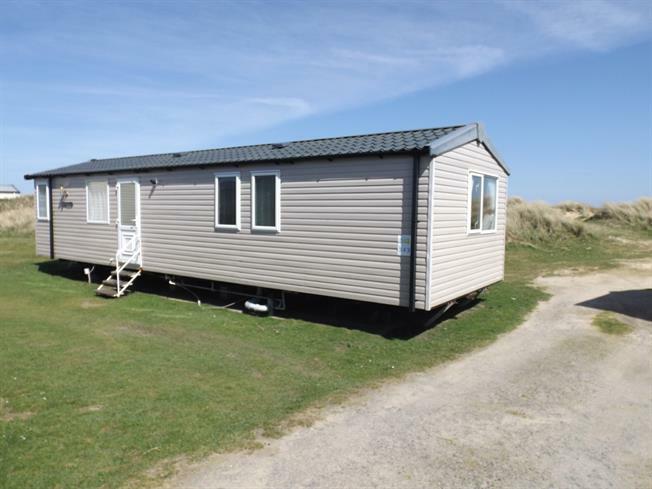 3 Bedroom Mobile Home For Sale in Perranporth for Asking Price £30,000. UPVC double glazed entrance door and window. Radiator. Open plan onto lounge and kitchen. Door into inner hallway. Airing cupboard housing LP gas central heating boiler. Integrated fridge and freezer. UPVC double glazed window. Modern fitted kitchen units comprising wall, base units and drawers, with roll top work surfaces, inset single stainless steel sink and drainer. LP gas cooker with filter hood over. UPVC double glazed windows to three sides and UPVC double glazed French doors to side. LP gas fire. Doors into three bedrooms and shower/cloakroom. UPVC double glazed window. Shower cubicle with glazed sliding door, low level flush WC and wash hand basin. Radiator. UPVC double glazed window. Built in wardrobe. Radiator. Door into en suite cloakroom. UPVC double glazed window. Low level flush WC. Wash hand basin. UPVC double glazed window. Radiator. Built in wardrobe.